Dominic was born and raised in San Francisco, California. In 2017, he graduated from California State University, Los Angeles with a Bachelor’s Degree in Kinesiology with an emphasis in Rehabilitation and Therapeutic Exercise. Currently, Dominic is pursuing a Master’s Degree in Kinesiology with an emphasis in Exercise Science while finishing prerequisite classes for physical therapy school. Since childhood, Dominic played a variety of sports. His positive experiences with martial arts and youth sports helped set the foundation for him to thrive as a competitive athlete. He then excelled in baseball; through high school and into college. During his years as a college baseball player, Dominic struggled with a recurrent back injury. After working with a physical therapist that also played baseball, he was captivated by the level of compassion, care, and impact that a physical therapist could have on one’s life. In 2013, Dominic was encouraged to try Olympic Weightlifting and quickly fell in love with it. At present, he is rigorously training to prepare for the USA Weightlifting American Open and National Championships. 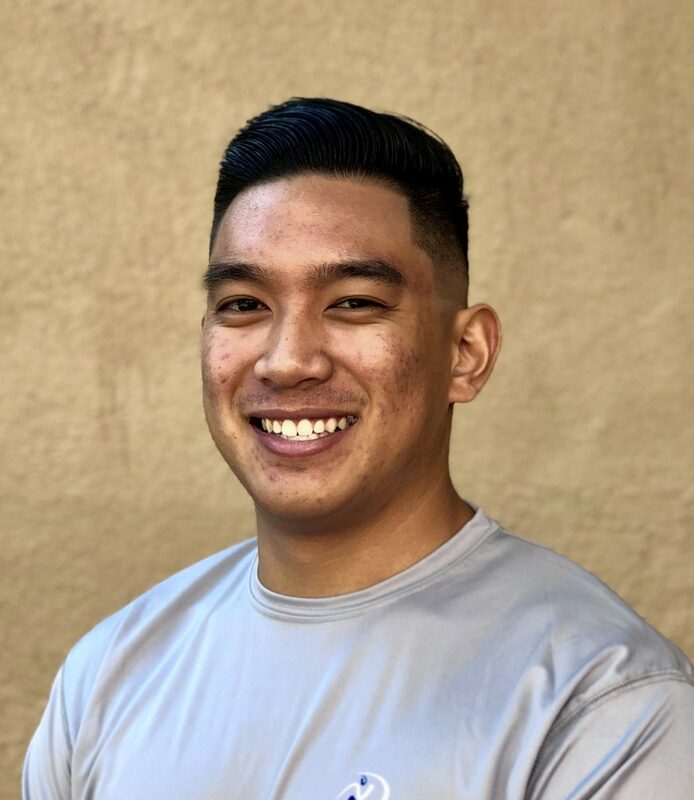 Between studying and training, Dominic is a strength and conditioning coach for a barbell club in La Puente, CA. Currently, he is in the process of obtaining his Certified Strength & Conditioning Specialist (CSCS) certification. In his spare time, Dominic enjoys reading, watching anime, and spending time with his loved ones.